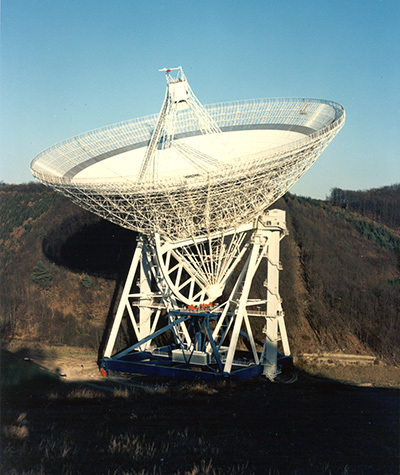 VERTEX ANTENNENTECHNIK (VA) originates from the KRUPP division „Antenna Technology”, which was founded in 1963. In 1992 VA became an independent company within the Vertex Group. Since 2004 VA is a 100% affiliate of General Dynamics Europe and part of the US corporation General Dynamics. The first product line consists of transmitting and receiving antennas designed to meet special requirements. For more than 50 years now VA has been building precision antennas and is known worldwide for its reliability and high quality work. The second product line covers the construction of ground stations for satellite communication applications such as TT&C, remote sensing, and broadcasting. Since 1993 VA has built up a division of experts for system design and competent customer service. The third product line comprises the standard antenna systems and products manufactured by our US sister companies such as standard antennas up to 18.3m reflector diameter and electronic components for satellite communication. Keeping some of these products in stock in Duisburg guarantees our European customers short delivery times of only days. VA offers its range of products to system houses, scientific institutes, and contracting authorities worldwide. Competence, quality and reliability are the cornerstones of our company's culture. Our goal is to maintain our leading position in the field of high performance antenna systems.